Brick and Mortar retailers are finding it increasingly difficult to thrive in today’s e-tail dominated economy. While customers were once forced to make a shopping trip in order to learn about a product’s features and benefits, they are now provided with the ability to do so in the comfort of their very own homes. So, what exactly is it that is keeping retail alive? Experience. Consumers, specifically millennials, want nothing less than a unique and immersive shopping experience- a process that e-tailers just can’t compete with. The increasing ease of online shopping has brought a demand for creativity in physical retail locations. 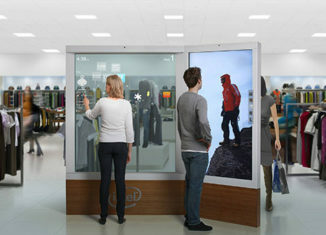 By creating an interactive nature inside of the store, retailers are able to create a level of personalization that will allow the customer to exit not only with products but also with memories and a desire to return. Henceforth, experiential retail has generated a retail renaissance and has been deemed the secret weapon of many dominating Brick and Mortar retailers. Nothing proves this retail phenomenon better than statistics. According to GlobalData, in 2006, 76.3 percent of spending by people of age 25 or younger was geared towards traditional retailers, but by 2016, this figure dropped to 61.2 percent. However, National Retail Federation’s 2017 “Consumer View” report showed that out of 3,002 millennial consumers polled, 49% visit stores more often because of the entertainment and exciting in-store opportunities. Below is a list of five companies who have used the concept of “retailtainment”- the popular marketing method of adding entertaining and out of the ordinary experiences inside of the store- to drive their brands to success. Casper is anything BUT the typical bed and mattress store. In mid-2018, Casper opened a nap showroom called The Dreamery right in the heart of New York City. The store is decked out in nap pods with Casper beds, pillows, blankets, and even sleep masks. 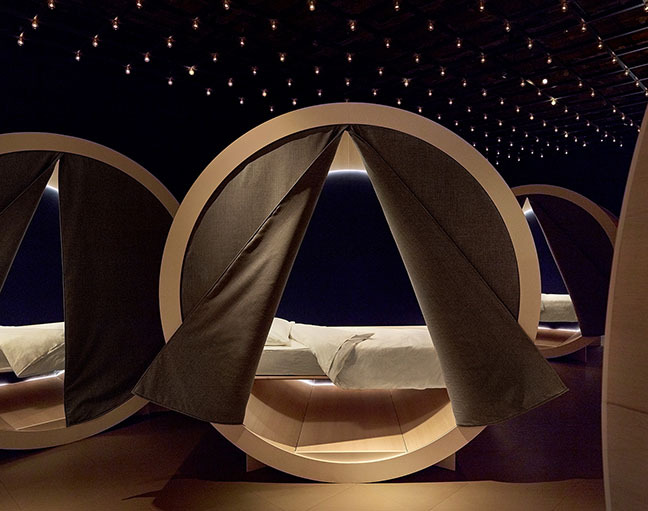 Casper charges $25 in exchange for a 45-minute nap inside one of these pods. The experience doesn’t end after nap time. Casper even provides the customer with the luxury of a post-nap coffee. Bathrobes, makeup wipes, and earplugs are all included in the experience as well. Ironically, Casper started out solely as an e-commerce business in 2014, but its transition has led the company to immense success. Lululemon has created so much more of a brand identity for itself than just workout gear. In one of its New York City locations, the basement of the store is a studio with a “sweat and concrete in the jungle” theme. With the combination of weekly yoga and dance classes, movie screenings, and tables to lounge or meet at, this Lululemon location is drawing in customers by the minute. Many of Lululemon’s locations around the nation have gone experiential, displaying fitness enthusiasts performing workouts in the window, offering yoga classes, and offering zen pods for meditation. Nike took the experience to a whole new level with its five-story Soho operation. The features this store offers are right up the alley of the average sneakerhead. With the ability to personalize products using laser engraving, the use of treadmills to evaluate sneakers, lounge-like fitting rooms, and even an in-store basketball court to determine the performance level of products with digital feedback, there’s nothing that Nike doesn’t have. Nike’s brick and mortar retail locations are returning impactful successes and enhanced attraction. Many have referred to Canada Goose as the brand with the best experiential retail of the year. Introduced first in Boston, Canada Goose has added a “cold room” to some of its stores. The concept is simple: it is a small, ice sculpture filled room set to a temperature of -27 degrees Fahrenheit. Inside the room, customers are able to test out how warm and toasty the brand’s jackets are able to keep them. One Canada Goose customer reports on fastcompany.com about her experiences in the cold room: “The store assistant helps me into the parka, then the two of us enter the Cold Room. I’ve never experienced temperatures this low before, so it’s interesting to feel how my body responds. While my face feels like it’s about to fall off in the freezing air and my eyes are smarting, my parka-covered torso feels quite toasty.” Canada Goose has expanded its cold room concept to locations in Montreal, New York, and New Jersey, and will continue to introduce its cold rooms nationwide. It is clear that customers are no longer just shopping for products, but are shopping for the experience and entertainment that a store provides. Experiential retail is the future of business, and for companies yearning to dominate their industries, the future is now. Immersing the market into their brands through creative personalization has proven to be the secret force retailers need to overcome the online enemy.